Give your shopping street and town a bit of color and character with these vibrant shopping center pole banners from Tuff Flags. These premium quality double faced 18 oz Vinyl Street Banners offer a great scope of visual design possibilities. These are well suited for street displays, tradeshows, to promote special sales or to deck up your store front or even a shopping district during festive seasons. 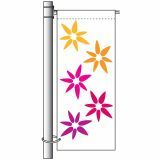 Shop from various popular sizes from these 100% made in USA shopping center pole banners that can be hoisted on street poles. 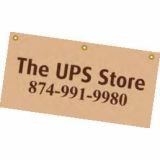 Shop from our collection of Personalized Shopping Center Pole Banners and get the best prices, quick shipping and much more! 100% customer satisfaction guaranteed! We offer a wide selection of pole banners made of heavy duty Vinyl and finished with Banner Rod Sleeve on top and bottom with 2 extra grommets on the pole side for reinforcement and safety. Shopping Center Pole Banners will grab the attention of drivers and shoppers and will lure them to pause and take a closer look at your stores. You can customize these banners with your message brand and artwork to make your very own custom banner! Bring in an element of beauty and colors to your town and shopping street with these brilliant banners or you can even start a year-round banner program where you can change banners depending on the theme, festivals or seasons! Browse our collection of Shopping Center Pole Banners and choose a flag that will complement your promotional theme and budget. Should you need any selection tips or assistance call us at our toll free number (888) 872-3524 or email us at customercare@tuffflags.com.